Bwindi Impenetrable forest is the most known place to go for Gorilla trekking, It habits Mountain Gorillas. 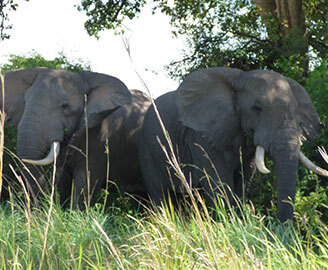 Uganda Safaris and Gorilla trekking Rwanda organized by Simba Africa Expeditions, a company based in Kampala, Uganda’s great Capital, operating in Uganda, Rwanda, Kenya and Tanzania. We will give you a wide variety of travel options which includes Gorilla tracking Safaris, Chimpanzee trekking, Mountain Hiking, City tours, Birding Safaris, Wildlife adventure, Cultural & Community Expeditions, white water Rafting among others. We have traveled to most of the hotels that we take to our clients and thus we can advice on which one will give you the best value for your money. Our main ultimate and pride is to offer, arrange the best possible memorable trip while you are with Simba Team experienced tour guides and drivers. An amazing Uganda Safaris & Rwanda Gorilla Trekking tour with Simba Africa Expeditions, a local tour operator that offers authentic and exciting Uganda Safaris and Rwanda tours but can ably extend into other destinations of East Africa i.e Tanzania and Kenya through its highly trusted partnerships that have been established there over time. 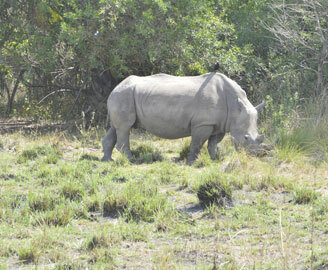 Simba team understands the need for tailor‐made Uganda safaris and Rwanda tours through carefully listening to all. The Republic of Uganda is a landlocked country in East Africa and one of the most interesting countries to visit in Africa due to its variation in nature’s gifting and cultural diversity. Uganda is bordered on the east by Kenya, on the north by South Sudan, on the west by the Democratic Republic of the Congo, on the southwest by Rwanda and on the south by Tanzania. The southern part of the country includes a substantial portion of Lake Victoria, which is also shared by Kenya and Tanzania and the southwest has quite a number of Uganda’s conservation areas.